Well, it means that before you bid you need to have carried out all the investigations and enquiries you need to make including searches, surveys, investigations and enquiries. It also means you need to have organised your finance to purchase the property if you are relying on third party borrowing and are not a cash purchaser. If your lender needs more than 30 days to process your loan, then you will be in trouble and could be looking at a delayed completion scenario (see below). Now the auctioneers would usually have received from each seller and usually prepared by the seller’s solicitors, a sales pack which should include in it a local authority search, a drainage and water search, an environmental search, a chancel check, replies to general pre-contract enquiries, a copy of the registered title and filed plan and if the property is leasehold, a copy of the lease together with information about the service charge. It is sometimes possible to sell property at auction subject to obtaining the landlord’s consent to assign the lease if you are selling leasehold property. If the landlord refuses to grant consent because for example, the proposed buyer has not been able to satisfy the landlord that he would not be capable of meeting the obligations in the lease, then the buyer would usually be able to get out of the contract without any adverse consequences but with a freehold property there are no such get outs. Unless you are very experienced and / or reckless of the consequences, you are well advised to get hold of the auction catalogue and once you have selected a property which you are interested in request the sales pack from the auctioneers. Nowadays, these are usually downloaded from the auctioneer’s web site or sent electronically by the seller’s solicitors. Send this pack to your solicitor and get him to start reviewing and raising enquiries of the seller’s solicitors as you would if you were acquiring the property outside of auction. There may be what appears to major title defects which the seller is quite happy to cover off with an indemnity policy so it is well worth flushing out the key issues so that some discussions and negotiations can commence with the seller. Your solicitor may even be able to gauge how popular a property is by this process because if he raises a whole load of enquiries and gets a standard printed response you can bet that he has been through the loop before with other interested parties. Get your solicitor to give you a formal written report summarising all of the key issues you need to be aware before making your decision to bid at auction. You need to know whether the title is good and marketable or if there are defects that the seller will cover this off with indemnity insurance. You need to have clear searches with no adverse issues which might affect your use and enjoyment of the property. Get your surveyor out to the property and get a full structural survey done especially if the property is older or in a poor state of repair. If major issues are revealed, then speak to the seller and try to negotiate a reduction in the purchase price. The reserve price could be altered as a consequence of these discussions and this could help you to win the property at auction and stop you from overbidding for a property. You may think that this is a waste of money especially if there are a number of people interested in bidding at auction and you may have wasted your surveyor’s costs but surely it is better to go in with your eyes open knowing the defects than to be caught up in the atmosphere of the auction room and end up overbidding for a property which will need a lot of work. 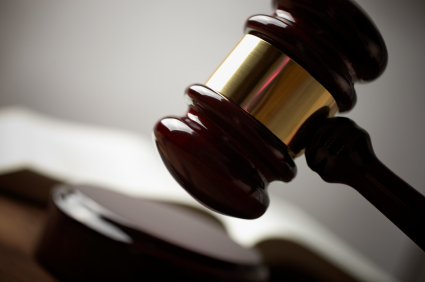 Often seller and the seller’s solicitor will be present at the auction to answer questions in the auction room. This may be an opportunity to gain further information on top of your due diligence and may be to do deal which results in the property being withdrawn from auction at the last minute. This happens all the time. You have a room packed full of people waiting to bid on a property and the auctioneer announces that a particular lot has been withdrawn. So do not be afraid to do a deal in the auction room or in the hours, days, weeks leading up to the auction. This happens all the time and will save you having to take the risk of being contractually bound to purchase when the hammer falls. In the event you successfully bid on a property and you are unable to complete on the completion date. The consequences are as follows. Completion will be set for a particular time and date, say 2pm on a specified date. If you are even a minute late getting the funds to the seller on the day of completion, then the seller can serve a completion notice which makes time of the essence. This means that after a set period of time usually about 10 working days from the date of the completion notice, the seller can keep your deposit and rescind (cancel) the contract. He can go further and sue you for damages for loss of bargain especially if the market is falling rapidly and prices are plummeting. However, usually to keep 10% of the deposit is enough compensation for most sellers. The solicitor will charge you a fee of about £100 plus VAT for preparing and serving the completion notice and you will be liable to pay interest at the contract rate on the unpaid purchase price up to the time of actual completion. The interest rate would be typically around 4% above the base rate of one of the major high street banks and is calculated on a daily basis for every day you do not complete. So make sure you are able to complete within the time specified in the auction catalogue or you will be risking these consequences. So although it is exciting bidding at auction bear in mind that you should really approach buying any commercial property in the same way as a normal transaction. It is just that all the effort is front loaded because once you successfully bid at commercial property auctions, the best solicitor in the world cannot renegotiate your deal. You are stuck with it.